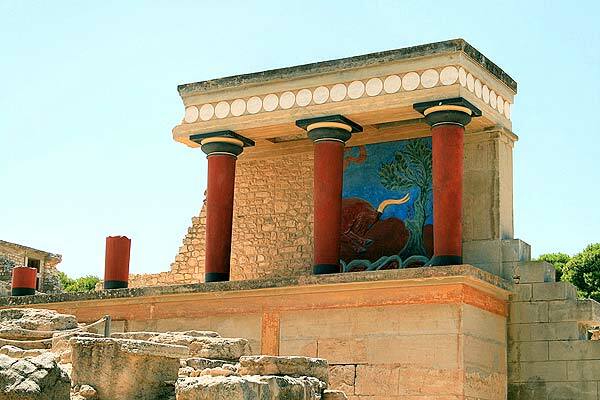 Knossos, the famous Minoan Palace, is 5 kilometres southeast of Heraklion. 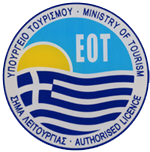 In the valley of the river Kairatos, which rises in Archanes, runs through Knossos and reaches the sea at Katsabas, the Minoan harbour of Knossos, the river flowed in Minoan Times all year round and the surrounding hills were covered in oak and cypress trees, where today we see vines and olives. The pine trees inside the archaeological site were planted by Evans. 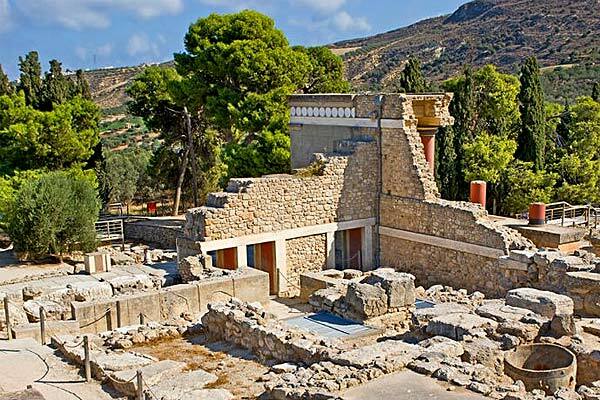 9,000 years after the first habitation of Knossos, it is pretty hard to imagine what the Minoaon landscape was like exactly. 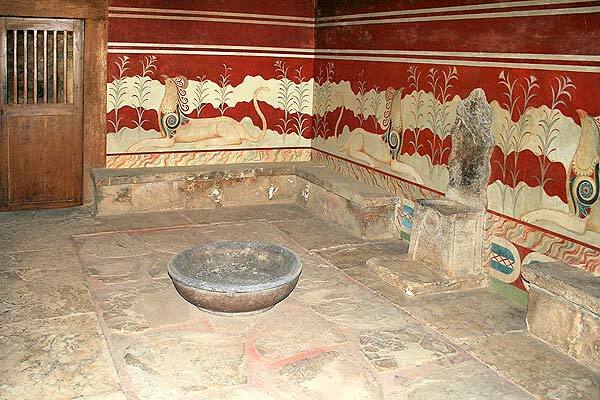 The first settlement in the Knossos area was established circa 7000 BC, during the Neolithic Period. 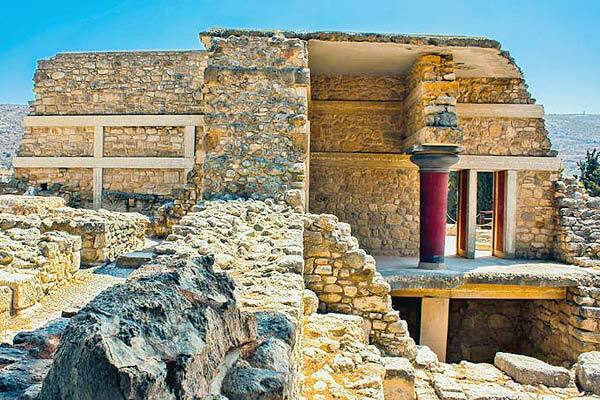 Knossos was the seat of the legendary King Minos and the main centre of power in Crete. 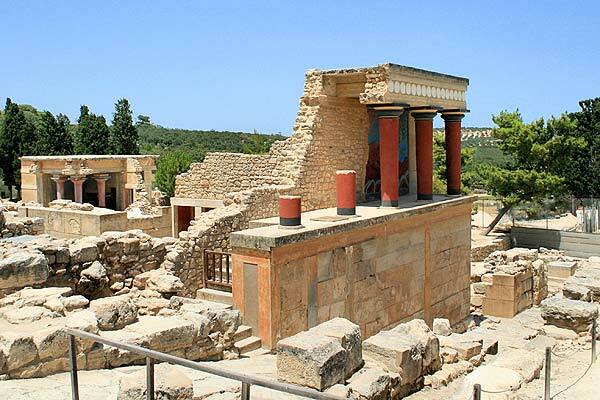 The economic, social and political development of the settlement led to the construction of the majestic Palace of Knossos towards the end of the second millennium BC, and it was destroyed circa 1700 BC. It was rebuilt and destroyed again by fire, this time definitively, in 1350 BC. The environs of the Palace were transformed into a sacred grove of the goddess Rhea, but never inhabited again. 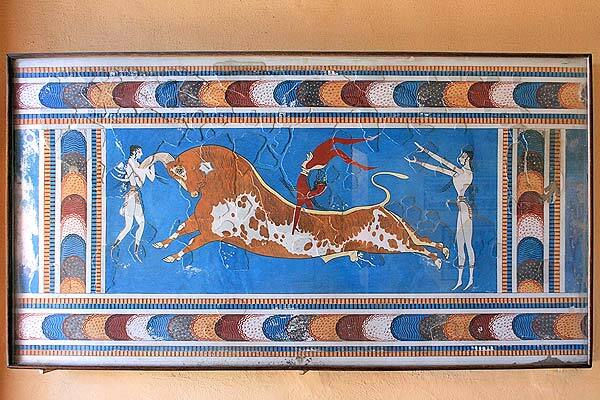 The Palace of Knossos is the monumental symbol of Minoan civilization, due to its construction, architectural plan, use of luxury materials, impressive size and advanced building techniques. 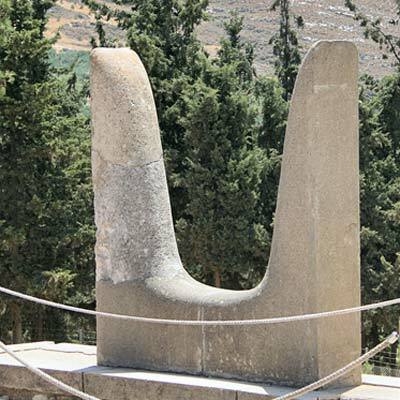 The first large-scale excavation was undertaken in 1878 while Crete was still under Turkish occupation by the wealthy art-lover Minos Kalokairinos. 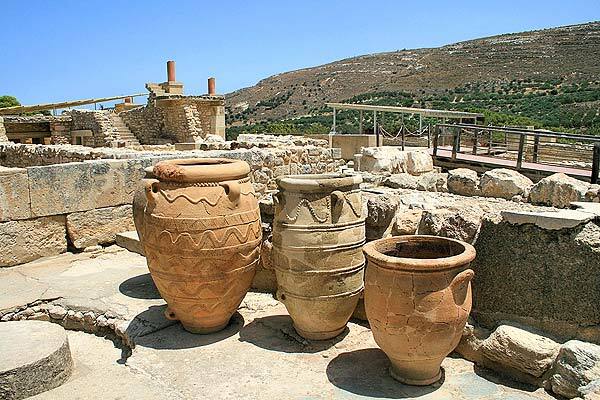 Kalokairinos excavated part of the West Magazines and brought many huge storage pots to light. In March 1900 to 1931, Sir Arthur Evans excavated not only the Palace but the whole surrounding area of Knossos. The Palace complex was excavated in only five years, an extremely short time by today’s standards. 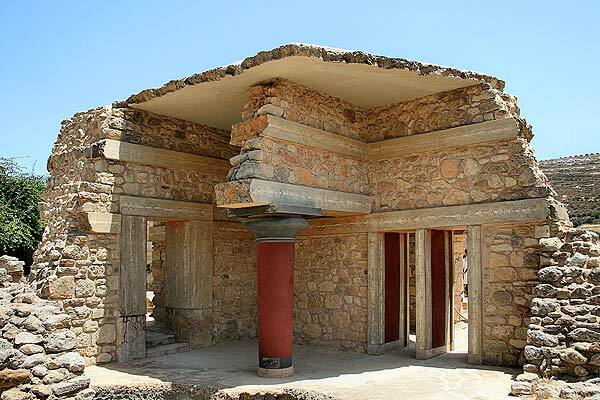 Evans restored the Palace using concrete, a technique condemned by modern archaeologists as arbitrary and damaging to the Minoan structure. Excavations continue till today.